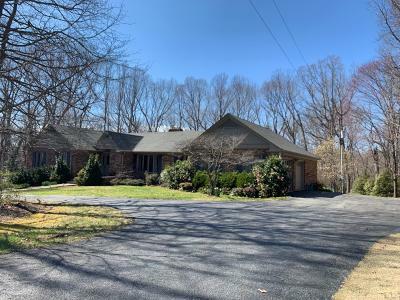 Beautiful brick ranch house on 4 acres in Bedford County! Privately located, this home is great for the family and entertaining! The backyard includes a fenced in heated pool with gazebo. Enjoy views of the pool and yard from the deck or screened porch! Open floor plan includes four bedrooms in separate wings. Master bedroom has private deck and private bath. Main living area includes a generous eat-in kitchen, formal dining room, office area, large pantry and laundry space! Unfinished basement is studded in and ready for expansion! This home is a MUST SEE!